Holy Trinity Medical Centre Set to Launch Ultramodern Commercial Cinema, Club & Lounge This Easter. Stage Play Review: Dora Why? – Murder and A family’s Secret. Documentary: “Ghana For You” A Migrants Journey For Answers. Movie Review: P Over D – A romantic something? Feature Article: THE YEAR OF RETURN, what does it mean for our film industry? Movie Review: Bigman Wahala – Let the coup begin! AIF Productions set to release “P over D”! We spent our Saturday evening in the company of amazing film aficionados to have exclusive viewing of VAGABONDS, a short film directed by Amartei Armar. For us at GhMoviefreak.com our night was made. Nothing compares to the feeling of seeing a good film made right here in Ghana that not only delivers a strong endearing message but also delivers on being an artistic and emotionally driven piece. After all, art is supposed to invoke emotion and if it’s able to do that on several levels, the better. 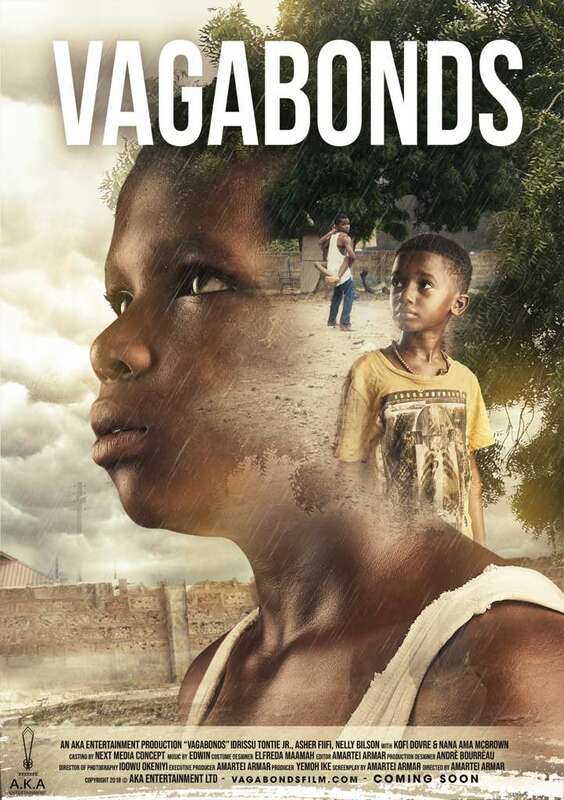 VAGABONDS talks about two orphaned brothers (Owusu, 10 years and Gyasi 5 years) who feel trapped in their orphanage and fear being separated through adoption. Owusu feels it his duty to protect his brother at all cost and must find a way for them to always be together. even if that means escaping to a world they are not sure of. This film in its about 14 minutes’ run-time manages to bring to bear the situations faced by orphaned siblings. Even with shelter and clothes readily available, the true sense of love and security is lost and they would have to rely on each other for that. Right from the opening scene you are given a sense of the strong bond and love that exits between the two brothers. The director uses an averagely slow paced sequencing to tell this story. With very detailed close ups and compositions of the subjects in this film, you are able to relate to their situations some more and share in their fear and frustrations. At the center of the story is flawless delivery from first time actors, Idrissu Tontie (Owusu) and Fiifi Asher (Gyasi). For young kids who have never acted before, it is clear that they have talent in abundance that shouldn’t be allowed to go to waste. They fully understood the roles they had been given to play and managed to pull the right emotions and facial expressions to make them very believable. It would be a huge shame if these young kids are not groomed into fine actors in years to come. 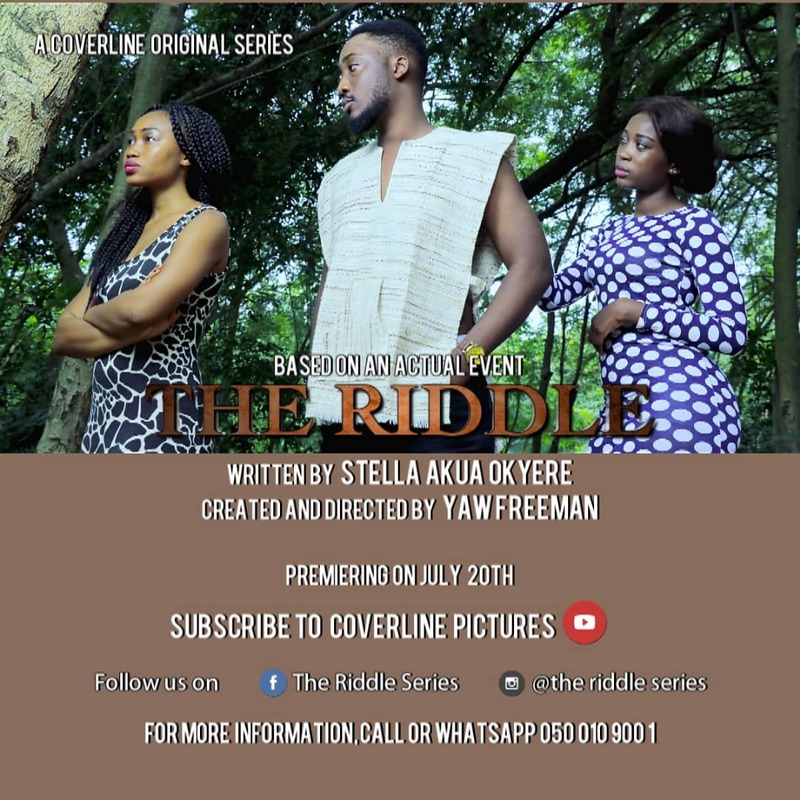 The idea to cast Nana Ama McBrown for this film was very smart thinking. Although she does not have enough screen time than we get to see from her in other films, she shows her worth as an all-round actor in this film. She stays on top of her character in a way that we hardly get to see. Somehow we were left to imagine what else she would have brought to bear if the story had continued any longer. For some of us, we found ourselves drawn to the two young actors in this film so much so that, the “Vagabonds” title felt a bit too strong and disconnected for us. How can they be vagabonds when they are the victims of a failed family and cultural/societal systems? But their rebellious selves speak truth to the title in some way. We won’t hesitate to score this short 4.5 out of 5 stars. For the quality in its message and the artistic input it has. Production elements were spot on in this film. It’s definitely something anyone would want to see more than once. If you ever hear of this lovely short film produced by Yemoh Ike, showing anywhere, don’t hesitate to go see it. “VAGABONDS” is certainly a short worthy of a feature length especially with the way it ended with many questions on our minds. If you’ve gotten to see it do well to share with us your thoughts on it in the comments section below. Second on my list of addictions is Movies.. the only thing I could possibly love more is my Dearest Waakye lol. Nothing else does a better job of reminding me that ANYTHING is possible with the right amount of effort. I have great eye for details and flaws in scripts. Shallow scripts bore me. I am an avid reader. Your everyday Mr Nice guy. Always the last to speak in a room full of smart people. Half Human, half Martian but full MOVIE FREAK. Short film Review: “Dark Spot” – Do We All Have Them? Short Film Review: It Hurts – The Highs that Leave You Low. Movie Review: BAD LUCK JOE – when Apex beats ‘their’ venom. Movie Review: John and John, Imitation vrs Creativity. GhMoviefreak is Ghana’s only film review website dedicated to the growth of the industry. Owned and run by XDC – Xscape Digital Consult; a bespoke digital content creation and development network. Enter your email address to subscribe to this site to get notifications of new posts by email.